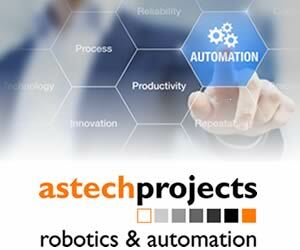 Warehouse automation company inVia says the relocation of its customers’ facilities is “made easy with mobile robots”. Online retail firm Hollar will be moving its warehouse and inVia warehouse automation system from California to Cincinnati, Ohio, USA. Hollar has been using inVia Picker robots and a cloud-based Robotics-as-a-Service (RaaS) management system since February. The warehouse will be operational immediately within the new space owing to the quick set up of the inVia Picker robots. 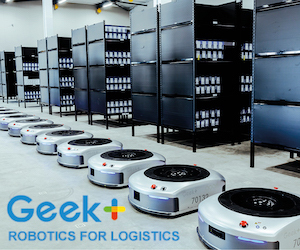 inVia Robotics, developer of the goods-to-person solution offered as “Robotics-as-a-Service,” says it makes warehouse automation ‘turnkey’, through integrated robots, software and monitoring that can be fully deployed in days without disruption to existing infrastructure. This allows the Hollar team to easily integrate robots within their new warehouse even if the layout is different from that of the current warehouse. “Moving our warehouse operations across the country has been made simpler by the inVia Picker robots,” said Octavio Reyes, Director of Operations and Systems of Hollar. The inVia Picker works collaboratively with Hollar’s operators to pick and move items, automating the storage and retrieval process and minimising operator risk exposure. In the initial deployment, Hollar increased productivity 300%. “Establishing warehouse function in a move across the country can be time-consuming and costly for a company aiming to ease their logistics’ burden,” said Lior Elazary, founder and CEO of inVia Robotics.